Garage door contactor, San Bernardino is a garage door company that specializes in Garage Door Remote. In any case you have lost your garage door remote or it is not working or in case you want to replace it, then you can give us a call. We are available to provide you assistance. One of our technicians will come to your rescue right away. All are technicians at Garage Door Contractor are licensed and bonded employees. They deliver the best quality service and will guide you in getting the best remote for your garage. Our employees even spend some time with you explaining all the functions of the remote, so that you do not face any problems while operating the gadget. When all of a sudden your garage door remote stops working, you feel irritated and upset. But then you can always relax and just give us a call. We are their, for your rescue round the clock. We provide high end remote that have all good facilities. We provide branded remotes which have the best of the quality. The brands that we provide are Lift master security +, Genie intellicode, Clicker, Multi Code. All these brands provide the best qualities of remote that have high end facilities in them. Most of the remotes have buttons that can be used to control multiple doors and gates .They usually run on batteries which are chargeable. You are free to choose the brand of your choice which is suitable for your garage door. All the remotes that we provide at Garage Door remote at San Bernardino are durable, reliable and provide long lasting performance. 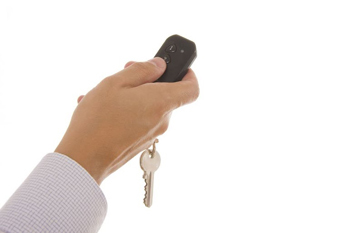 When you purchase a garage door remote, there are a few things that you look through such as its varieties, aesthetics and performance. Another factor which contributes towards the purchase of the remote is the price. The Garage Door Contractors at San Bernardino provide you with best quality garage door remotes with reasonable prices. We have varieties of quality brand remotes with various price ranges just to meet your pocket. We also have guarantee period for the garage door remotes. In case they don’t meet your satisfaction level, then we replace your remotes with new ones. You can easily reach us at 909-962-6344. We take your call throughout the calendar year. Our trained employees at Garage Door Repair San Bernardino know which remote suits your garage the most. They help you in choosing your garage remote. You can also log in to our website, we request you to give us your valuable feedback on our website, so that we can upgrade ourselves taking your valuable suggestions into consideration.